We would like to kick off the month Celebrating our War Heroes! 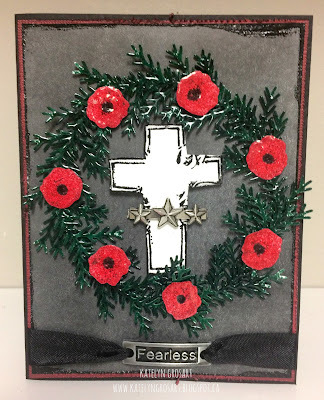 The Dare is an Anything Goes Challenge as we have a wide range of celebrations this month from honouring our heroes, to American Thanksgiving, and the count down to Christmas. One lucky winner will receive a coupon code for $50 off in the store! November 11 is Remembrance Day and Veterans Day and we want to make sure our Freedom Heroes are not forgotten. Leading the way is Deb. 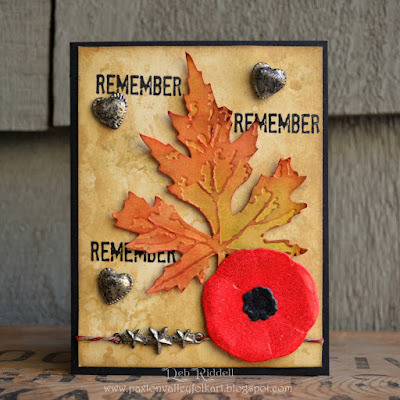 It was with gratitude and thanks that I made my Grateful Remembrance card in honour of all who have fallen and all who have served. I made a replica of the poppy lapel pin that all Canadians wear with pride on Remembrance Day to include on my card and plan to leave this card at the Cenotaph on November 11th as a small token of my deep felt thanks to all our soldiers past, present and future. I've a few step out photos on my blog, hope you can stop by. Here is my little girl with her bouquet of poppies. This bouquet is her way of saying thank you for your service. I have all the details on how I put her together on my blog. I want to thank those who have fallen for us, fought for us and are continuing to fight for us. This post I dedicate to you. The poppy wreath is such a symbolic symbol for Remembrance Day, so I used that as the starting off point for my "Fearless" card. 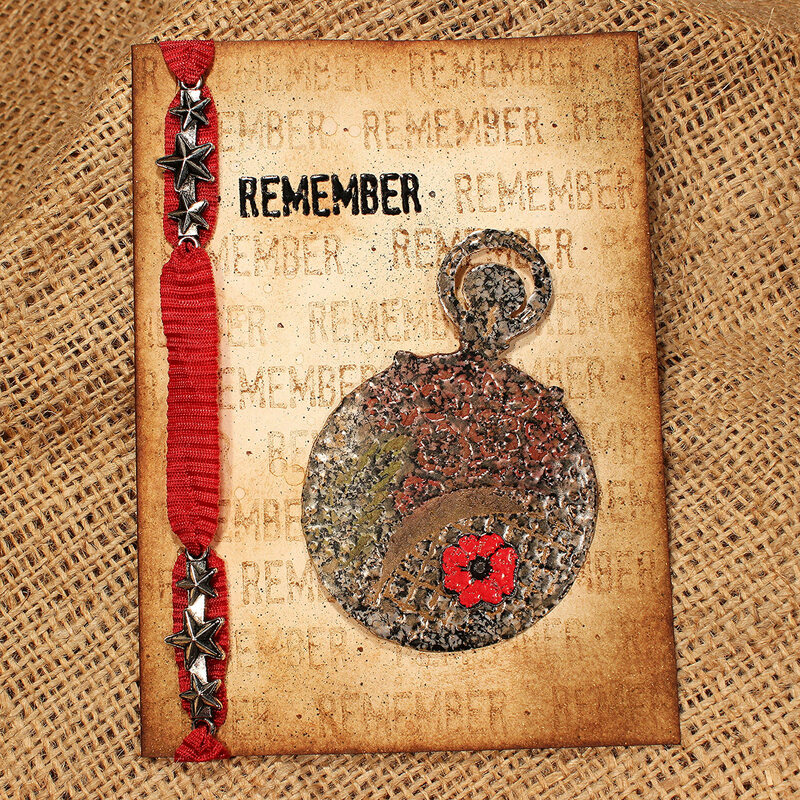 I hope that you will head over to my blog to learn how I created my card. This month, in honour of our veterans, I created this card. As time passes, it is important for us to remember those that made the greatest sacrifice in service to our country... Lest We Forget. It is with great gratitude that we recognize and thank the many men and women that serve our country, protecting rights and freedom, both here at home and around the globe. Falling Into Celebration Dare with her Autumn Mask entry. Rijacki please email Kim at info@emeraldcreek.org for your prize code. To enter this month's Anything Goes Dare, use the InLinkz below. Remember to follow the challenge rules as posted on the right sidebar of the blog, in order to be eligible. 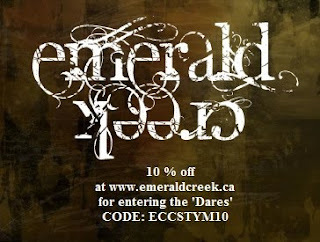 The winner, as voted upon by our Design Team members, receives a $50 Gift Certificate for the Emerald Creek Craft Supplies Shop and the top 3 Special Mentions receive a badge to post on their blog and a 20% off discount code for the shop. Congratulations to the winner, Rijacki and to the top three, Karla, Autumn and Mary!! So much creativeness, thank you for sharing with us! DT ladies, what beautiful tribute projects and inspiring! Thank you for choosing my creation as the winner! I am floored. Grats to the top 3, too. Amazing projects last month. Thank you again. Your project was awesome! Congratulations to our winners! 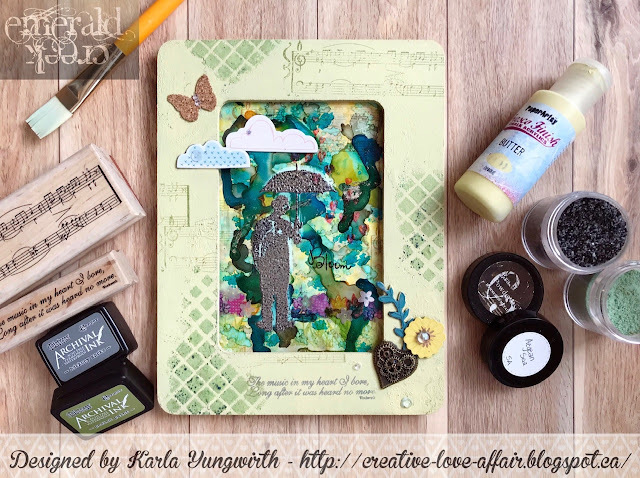 What fabulous projects--it was so hard to choose this month! Great inspiration from my teamies! I'll be around to visit each one of your for some details! Hugs! What lovely projects!! Congrats to the winner, and thank you so much for choosing my fox tags as a top 3! Hugs! Thanks for playing. I sure love the pieces you have made. Stamps are from Penny Black, colours are from Ranger Distress ink pads and the branches are stamped three times in black and blue, and the last time stamped with Versamark and heat embossed with white embossing powder.